Scuba diver. A military rescue diver entering the water. This entry technique is known as the 'big step'. 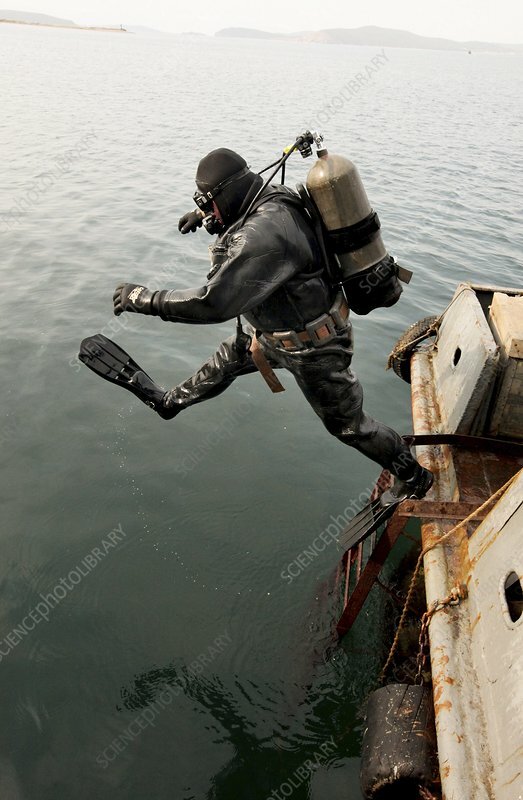 The diver is wearing a dry suit, used in cold water dives as it offers better insulation than a wetsuit. Photographed off the shore near Vladivostok, Russia.